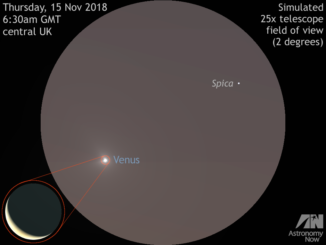 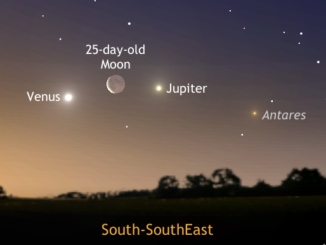 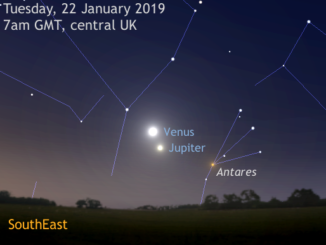 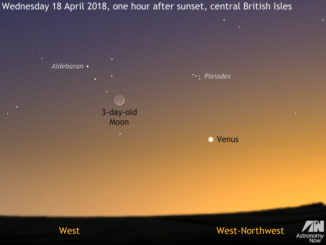 Observers in Western Europe should try to locate Venus low in the western sky an hour after sunset. 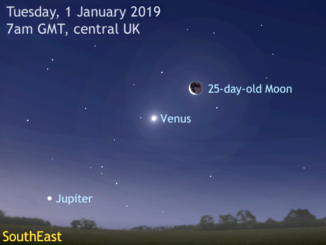 The 3-day-old slim crescent Moon acts as a convenient guide, located some 12½ degrees (or half the span of an outstretched hand at arm’s length) to the upper left of the brightest planet on 18 April. 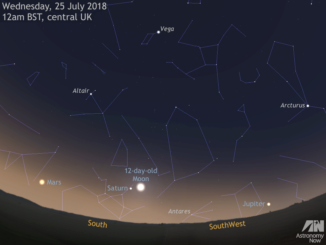 Prominent star Aldebaran lies in the same low-power binocular field of view as the Moon too. 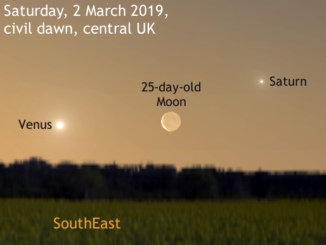 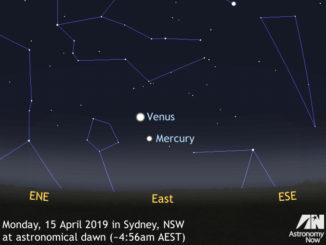 Mercury attains a greatest easterly elongation of 18 degrees from the Sun on 15 March, the innermost planet’s best evening showing for Northern Hemisphere observers for the entire year. 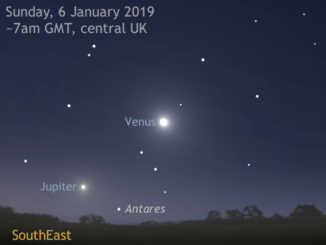 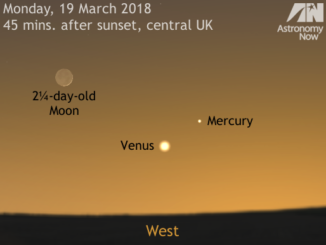 From 12–20 March, planets Mercury and Venus remain just 4 degrees apart low in the west 45 minutes after sunset as seen from the British Isles.